Thats all. Game finished - Sheffield United 0, Sheffield Wednesday 0. 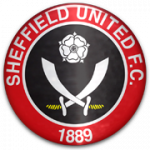 Second Half ended - Sheffield United 0, Sheffield Wednesday 0. New attacking attempt. Oliver Norwood - Sheffield United - shot with right foot from outside the box is saved in the top left corner. Leon Clarke - Sheffield United - won a free kick in attack. Missed chance. Billy Sharp - Sheffield United - shot with the head from the centre of the box is close, but missed. Assist - Oliver Norwood with a cross after corner. Corner - Sheffield United. Conceded by Joey Pelupessy. New attacking attempt. Marco Matias - Sheffield Wednesday - shot with right foot from outside the box is saved in the left corner. Assist - Adam Reach with a head. Michael Hector - Sheffield Wednesday - receive yellow card for a foul. Corner - Sheffield Wednesday. Conceded by Enda Stevens. Ashley Baker - Sheffield Wednesday - receive yellow card for a foul. New attacking attempt. Mark Duffy - Sheffield United - shot with right foot from outside the box is saved in the top centre of the goal. Assist - Enda Stevens. Marco Matias - Sheffield Wednesday - won a free kick in attack. Delay in match Chris Basham - Sheffield United - - injury. Dean Henderson - Sheffield United - won a free kick in defence. Shot blocked. Marco Matias - Sheffield Wednesday - shot with right foot from outside the box is blocked. Substitution - Sheffield Wednesday. Marco Matias for Matt Penney. Corner - Sheffield Wednesday. Conceded by Chris Basham. Billy Sharp - Sheffield United - won a free kick in attack. Substitution - Sheffield United. Leon Clarke for David McGoldrick. Corner - Sheffield United. Conceded by Ashley Baker. Corner - Sheffield Wednesday. Conceded by Jack O'Connell. Missed chance. Billy Sharp - Sheffield United - shot with the head from the centre of the box missed. Assist - John Fleck with a cross. Shot blocked. David McGoldrick - Sheffield United - shot with the head from the centre of the box is blocked. Assist - Oliver Norwood with a cross. 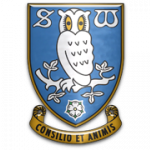 Barry Bannan - Sheffield Wednesday - receive yellow card for a foul. Corner - Sheffield United. Conceded by Morgan Fox. Shot blocked. John Fleck - Sheffield United - shot with left foot from outside the box is blocked. Assist - Mark Duffy. Corner - Sheffield United. Conceded by Tom Lees. Oliver Norwood - Sheffield United - won a free kick in attack. Shot blocked. Oliver Norwood - Sheffield United - shot with right foot from outside the box is blocked. Assist - Enda Stevens. Missed chance. Adam Reach - Sheffield Wednesday - shot with left foot from outside the box goes high. Assist - Steven Fletcher. New attacking attempt. David McGoldrick - Sheffield United - shot with left foot from outside the box is saved in the left corner. Assist - Chris Basham. Chris Basham - Sheffield United - won a free kick in attack. Second Half starts Sheffield United 0, Sheffield Wednesday 0. First Half ended - Sheffield United 0, Sheffield Wednesday 0. Chris Basham - Sheffield United - won a free kick in defence. Mark Duffy - Sheffield United - won a free kick in attack. Corner - Sheffield United. Conceded by Steven Fletcher. Shot blocked. Adam Reach - Sheffield Wednesday - shot with left foot from outside the box is blocked. Assist - Jordan Thorniley. Steven Fletcher - Sheffield Wednesday - won a free kick on the left wing. Matt Penney - Sheffield Wednesday - won a free kick in attack. Offside - Sheffield United. Enda Stevens with a pass, however Billy Sharp is in offside. Offside - Sheffield United. Chris Basham with a pass, however Enda Stevens is in offside. Corner - Sheffield United. Conceded by Michael Hector. Shot blocked. Mark Duffy - Sheffield United - shot with right foot from the left side of the box is blocked. Assist - Enda Stevens with a head. Shot blocked. Joey Pelupessy - Sheffield Wednesday - shot with right foot from the left side of the box is blocked. Assist - Matt Penney. Missed chance. Billy Sharp - Sheffield United - shot with the head from the right side of the six yard box is high and wide to the left. Assist - Chris Basham with a cross. Missed chance. Oliver Norwood - Sheffield United - shot with right foot from outside the box is very close to the goal. Assist - John Fleck after corner. 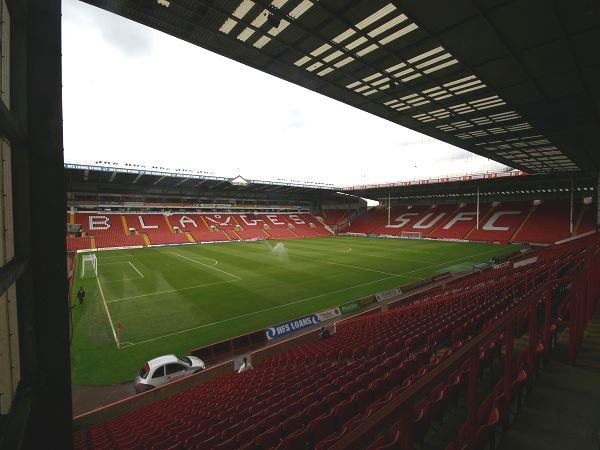 Corner - Sheffield United. Conceded by Jordan Thorniley. Missed chance. Steven Fletcher - Sheffield Wednesday - shot with left foot from outside the box is high and wide to the left. Assist - Morgan Fox with a head. Billy Sharp - Sheffield United - won a free kick in defence. Shot blocked. Enda Stevens - Sheffield United - shot with left foot from the left side of the box is blocked. Missed chance. John Fleck - Sheffield United - shot with left foot from outside the box missed. Assist - Chris Basham. Missed chance. Kieron Freeman - Sheffield United - shot with the head from the right side of the six yard box missed to the left. Assist - Enda Stevens with a cross. Shot blocked. Billy Sharp - Sheffield United - shot with right foot from the left side of the box is blocked. Assist - Oliver Norwood with a cross. Corner - Sheffield United. Conceded by Cameron Dawson. Penalty saved! David McGoldrick - Sheffield United - fails to capitalise on this great opportunity, shot with right foot saved in the right corner. Penalty conceded by Morgan Fox - Sheffield Wednesday - after a foul in the penalty area. Penalty Sheffield United. Mark Duffy draws a foul in the penalty area. Ashley Baker - Sheffield Wednesday - won a free kick in defence. Missed chance. Morgan Fox - Sheffield Wednesday - shot with right foot from few metres goes high. Assist - Joey Pelupessy with a cross after corner. Missed chance. Jack O'Connell - Sheffield United - shot with the head from the centre of the box is close, but misses the top left corner. Assist - Oliver Norwood with a cross after corner. New attacking attempt. John Fleck - Sheffield United - shot with left foot from outside the box is saved in the top right corner. Assist - Oliver Norwood. Shot blocked. Chris Basham - Sheffield United - shot with right foot from outside the box is blocked. Assist - Oliver Norwood.